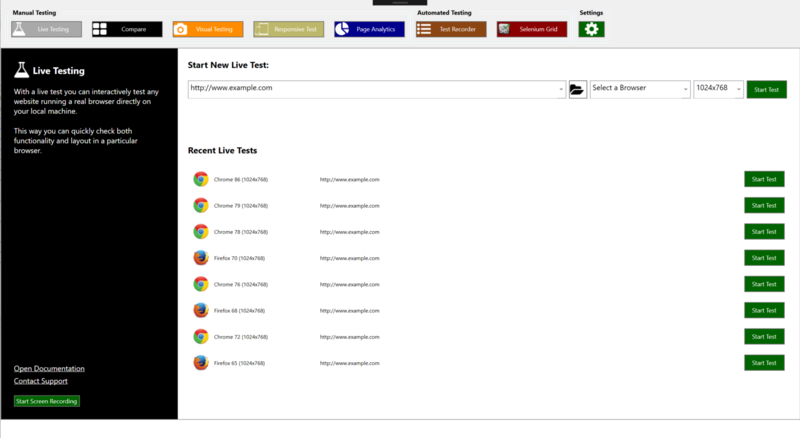 Live Testing For manual testing or debugging you can run all major browsers directly on your machine. Quick access to unmodified browser version with enabled developer tools. 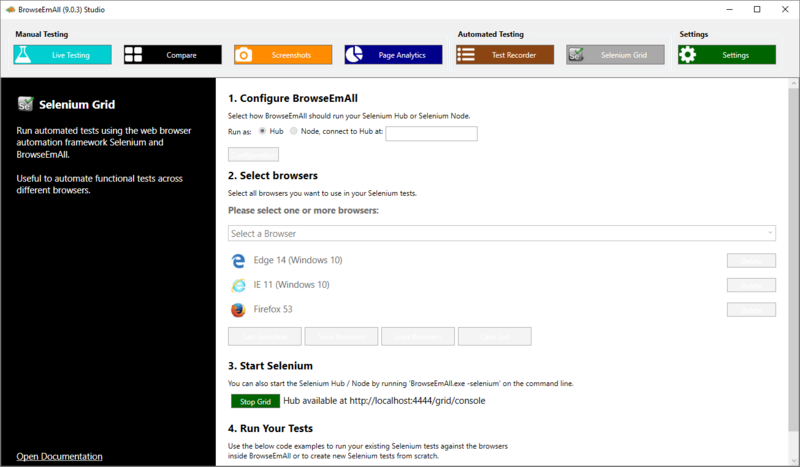 Browser Compare Need to execute manual regression tests in different browsers? 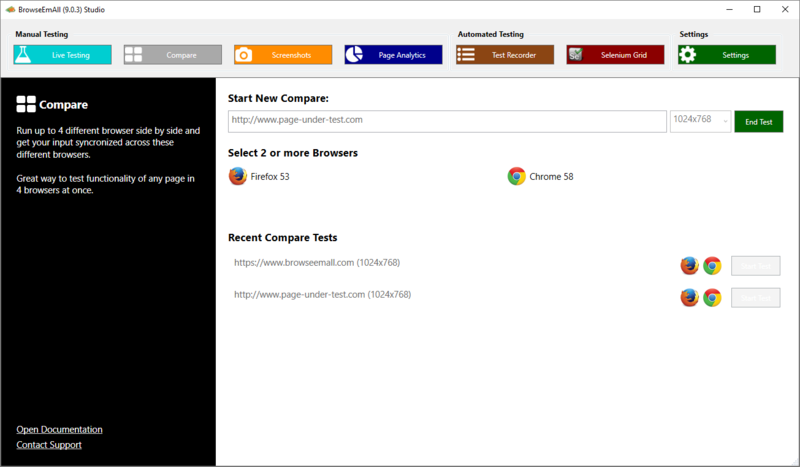 Browser Compare synchronizes your user input across different browsers to speed up manual test execution. Visual Testing Get access to full page screenshots and layout comparisons in all supported browsers to check for layout problems efficiently. Automate this by using our extensive command line interface. Responsive Testing Test your responsive layout against desktop and mobile resolutions with full page screenshots. Automate this by using our extensive command line interface. 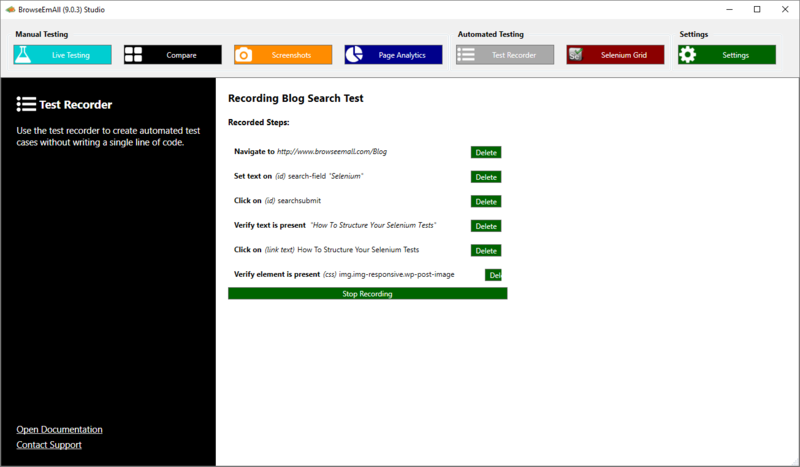 Record & Play Our Record & Play technology makes it possible to record regression test cases directly in the browser. 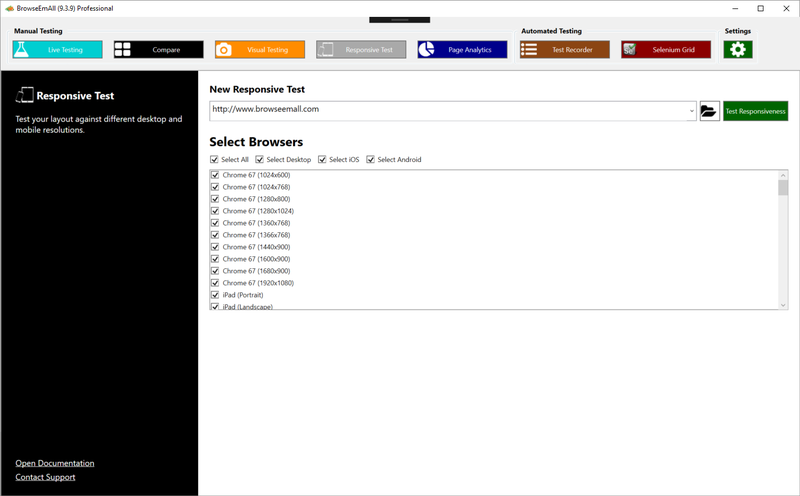 Run these test cases against all major browsers, no coding experience required. Test Export Need to convert the recorded test cases to code? Everything can be exported to different programming languages like C#, Java, Ruby and more. 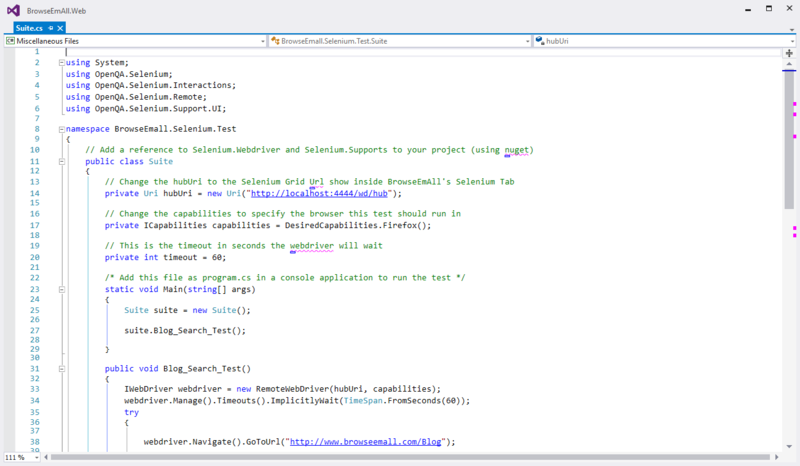 Selenium Integration Already using Selenium for automates browser tests? 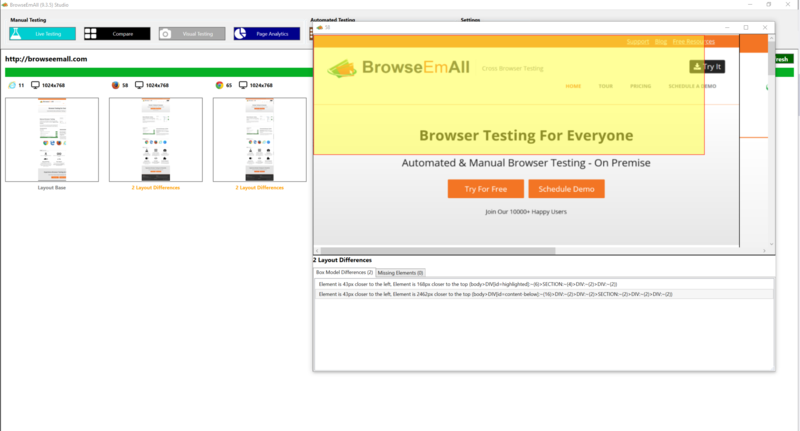 You can run all your existing test cases in the browsers provided by BrowseEmAll. No code changes required!